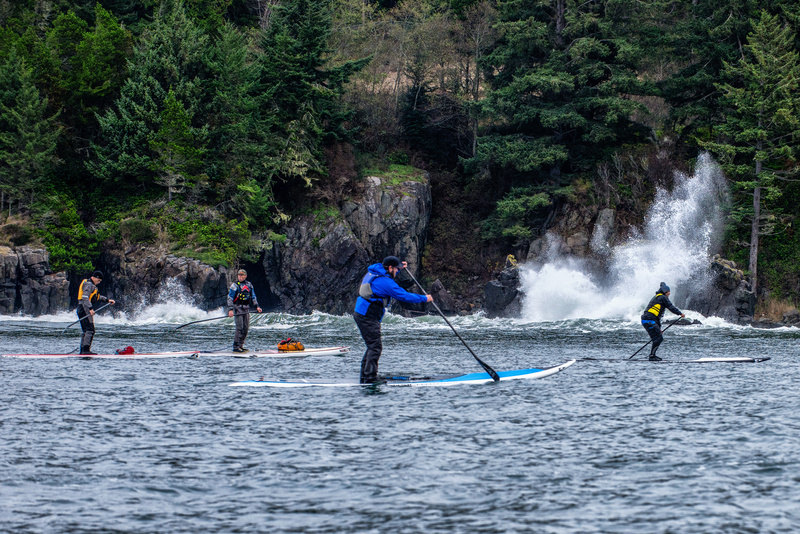 Recently I had the opportunity to present and instruct with Ocean River Sports in Victoria, B.C. Our first evening included a multi media slide show presentation on my coastal sup trips, stories from the Great Bear Rainforest and conservation expeditions. More recently I have been doing a lot of school presentations as part of our Take a Stand for Conservation program so it was fun to put a different one together on my coastal adventures with those who came out. I especially enjoyed sharing some shots and videos from our recent West Coast trail trip this past June. Thanks to all those people who came out and thanks to Ocean River Sports for hosting and donating proceeds to my Standup4Greatbear Society. 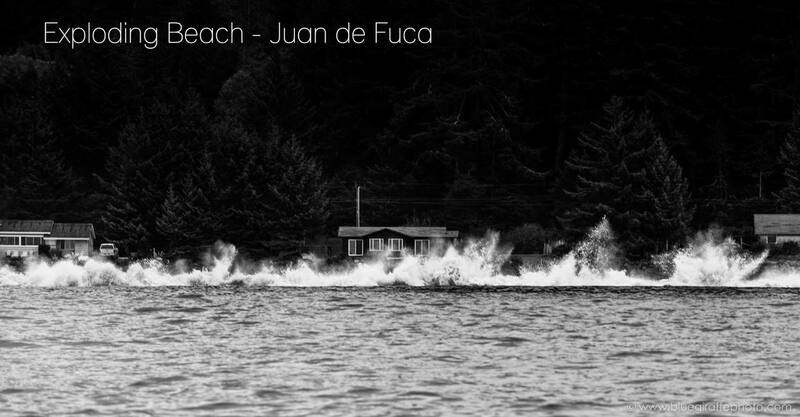 The following day we headed up towards Jordan River to do a day tour of the Strait of Juan De Fuca. Ocean River paddlers Justin Dunlop and Yannick Michaud joined me and helped greatly with the organization of the weekend, shuttles and guiding responsibilities. We ended up having pretty much perfect conditions for our run from Flea Beach to Sooke. The winds were down but the swell was big so we had to give certain sections of this beautiful coastline a wide berth. Thanks to Reuben Buerge who provided the support boat for safety and a nice on water lunch spot. Thanks as well to those paddlers who joined us for this fun adventure. Stay posted for more course and tours with Ocean River Sports for 2016. If your in the Victoria area and need good advice on boards, paddles, safety equipment and clothing stop it to chat with helpful team at OR.